These books are also designed to be decorations in a child’s bedroom or playroom on book shelves, nightstands, or desks which will serve as a constant resiliency reinforcement. CLEVELAND, OHIO --High school counselor and former special education teacher, Kasey Crawford Kellem knows a lot about facing life challenges. Her new book series, Mind Over Matter, teaches young children how to be resilient to them. “Everyone faces tumultuous times in their lives,” Kellem said. The Cleveland area counselor said she hopes her books will teach children they can get through their gut-wrenching, stressful troubles using a mind over matter technique that is within everyone. Kellem’s goal is to get the book into the hands of as many children under age six as possible to introduce them to five concepts of resiliency. In order to overcome challenges, the author said, one must “believe, dream, love, relax and laugh.” If they learn these things early on, they will be able to use them the rest of their lives to overcome the many challenges that will come their way, she explained. The first book in her Mind Over Matter series is Believe. 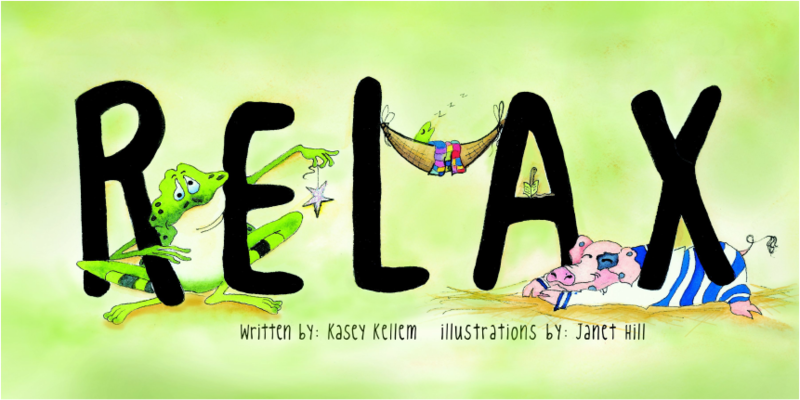 Halo International Publisher Lisa Umina is pleased to publish Kellem’s inspiring series of books. “This series is something that will help children throughout their entire lives,” Umina said. Kellem said she grew up in a “traditional nuclear family” that included her mom and dad and three sisters in Fairview Park, Ohio. She attended Magnificat High School and earned her Bachelor’s Degree at Baldwin Wallace College and Master’s Degree in Special Education at Kent State University. She also has an Educational Specialist Degree in counseling. While growing up, Kellem said she played sports and percussion instruments in the band, and was pretty much the class clown. She knew then that laughter helps people get through some rotten times. The Normandy High School counselor has devoted her life to helping thousands of children facing adversity how to be resilient. She has spent 22 years in education, 10 as a special education teacher and the past 12 as a high school counselor. Kellem also is devoted to her husband, Craig, and two step children, Jessica and Joe, as well as her siblings, father and students. The Mind Over Matter (M.O.M.) series is dedicated to Kellem’s late mother, who taught the author how to be resilient. To order your personalized copy of Believe, visit www.mindovermatterbooks.com.